We always have apartments and villas ready to move into but if you do not mind waiting for your property to be built and enjoy taking the advantage of an off plan price then Orka Homes have many new projects that are available off plan, including apartments and villas on complexes, detached villas with private swimming pools or land where with our help, youcan design your own home. Unlike buying a finished property buying off plan allows you to make stage payments, Architects Drawingstaking the stress out of having to finance in one lump sum. Also buying a property off plan gives you the opportunity to re-design the inside more to your liking and choose your own colour schemes. If your property is not yet built or is still under construction, Orka Homes offer stage payments (amounts and dates will be mutually discussed and agreed in your contract. Our Properties in Turkey for Sale all come fully guaranteed with the appropriate government paperwork. Typical Steps of a Custom Build Property would be. 1. Choose the right location, size and plot for your villa. 2. 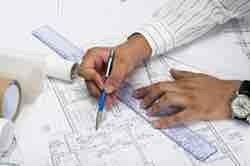 Our architects would draw the architectural plans and 3D images, detailing all of the agreed specification. 4. Start legal activity, military clearance, building licences, and starting construction. 5. Completion of the building process, licences signed and delivery of the property. If you wish to come out to Turkey at any time during construction to see your property through its build, you will be guests of Orka Homes and you will be accommodated in our Club Orka Hotel Resort on a bed and breakfast basis. Alternatively we will take digital photographs of each stage of the build and will e-mail them to you, either way, you can see the progress until completion. Not everyone likes the idea of buying off plan and therefore we also have a range of key ready built properties just waiting for their new owners. These properties could be apartments or villas on complexes with communal pools or your own detached villa with a private swimming pool. All of our properties are built to the highest standard and we hope you will be very impressed with our choice of the very latest fixtures and fittings and colour schemes. Because we have had to purchase all the materials, buy the land and build the property you will find that our completed key ready properties are sligtly more expensive than buying an off plan one. But if peace of mind is what you are after and you are ready to move into your property just now then a Key Ready Property may be just right for you. Turkish mortgages are available for up to 50% of the purchase price. Orka Homes will help you with the application. We will also help you with goverment registration forms and opening a local bank account. If you are looking for a Turkish Mortgage then this information sheet will let you know what information the bank will require.